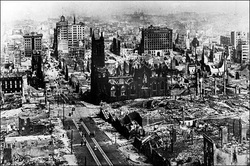 The San Francisco earthquake of April 18, 1906 ranks as one of the significant earthquakes of history. About 5:12 a.m., a fore-shock occurred with force that hit the San Francisco area. The earthquake hit about 20 to 25 seconds after the foreshock. The earthquake was felt from Southern Oregon to South of Los Angeles and as far as Nevada. The earthquake magnitude was 7.9. However, others have predicted magnitudes from 7.7 to 8.25. 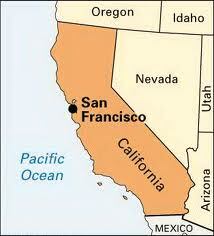 Although the impact of the earthquake on San Francisco was the most famous but the earthquake also affected other cities. For example, San Jose and Santa Rosa were also hit strongly. This earthquake was strong and killed up to 3,000 people, animals, destroyed buildings, etc. This was a strong earthquake and is part of history.